Want to listen to me make a fool of myself? 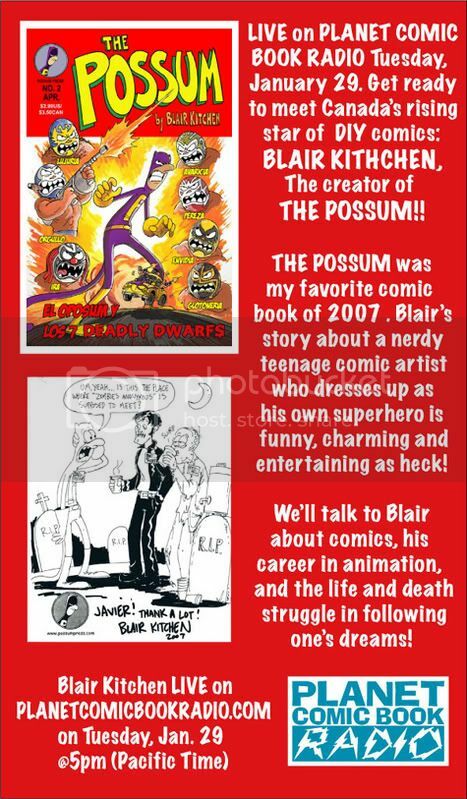 Get caught up, before Tuesday, and listen to all of the other great interviews hosted by Javier Hernandez, at Planet Comic Book Radio, here. Ah yes… the words “fool” and “myself” always go together so well, and sound oh so appealing. I shall listen in! Good luck with the interview next week. It was also really great chatting with you yesterday at the studio! Let us know when they post the podcast. Steve. You’re on the ball. I’ll make an official post soon. Just listened; you did good Kitchen, you did good.